Stress management … the words often invoke shudders and feelings of inadequacy. We all know that we are meant to manage the stress in our lives, but it’s often something that falls by the wayside. It’s something we neglect, forget or just don’t seem to have time for – because we’re so caught up feeling stressed. Why is that? While most of us are constantly under a degree of pressure and always in motion, what underlying factors might be at work in our stressful daily lives? I think when we boil it down, strip away our excuses and look at our behaviour the truth of the matter is that we don’t love ourselves enough. Many of us equate self-love with ego, a sense of entitlement, being all about the show and the self- promotion. Kind of like Kanye and a Kardashian having a baby. In truth, loving and caring for ourselves comes from a very different place. It comes from a place of self-awareness, a place of deep love, self-care and self-respect. When talking about self-love, one of the analogies often given is the need to put your oxygen mask on first in the event of a mid-air emergency, as seen during in-flight safety demonstrations. Similarly, if you don’t help yourself first, you are unable to truly help anyone else. And that is what taking care of ourselves is all about. I’ve been in business for over 20 years as a massage practitioner. When you are self-employed you are the driving force in your business. If you don’t initiate, implement and action an idea, then nothing happens. 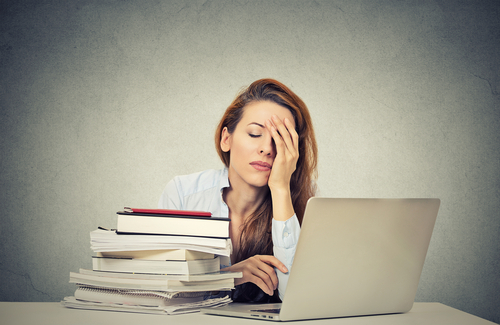 If you are tired, unwell or unfocused, then your business is also tired, unwell and unfocused. This also goes for people who work for someone else, or for parents at home raising their children. People need to realise that we all only have so much energy and time in the day. For us to push past the ‘busyness’, the noise, the activities that fill time, drain energy and detract from the moments in our day that we love, then we need to put ourselves first. Being stressed generally starts with a feeling of ‘uncomfortableness’ and saying things like ‘I’m sick of this’, ‘I’m over it’, ‘I’m tired’, and ‘Whatever, I don’t care anymore’. Once we start paying attention to these signs then we can start to create change. The first nugget of information I’ve shared with my clients over the years is about sleep. I ask them: how well are you sleeping? What time do you go to bed? Wake up? How well do you sleep? Then I let them know that if they aren’t sleeping, they aren’t healing. If people can get into a routine of going to bed and waking at the same time each day (yes, even on weekends), we start to train ourselves to realise that sleep is important. And yes, while ‘rules’ may make you feel like a littler again, it’s one of the simplest and best decisions you can make for your health and wellbeing – I know it has been for mine. Next I ask clients about their hydration. What do you normally drink throughout the day? Coffee, tea, soft drinks, juice, alcohol and the hallowed fluid itself, water? I then remind them about the importance of being hydrated. That often hunger, headaches, muscle pain, dry skin and poor concentration are all down to being dehydrated. Drinking more water is cheap and easy, it just takes practice (and remembering your water bottle)! Hydration is a simple, cost-effective way to improve how our body functions. The next topic of discussion I raise with clients is body awareness – the ability to be present in our BODIES, not stuck up in our heads thinking. I’ve been a massage practitioner for more than 18 years and body awareness is one of the gifts of having regular massage. Body awareness is the ability to pay attention to the messages our bodies are constantly sharing with us. I also share with my clients the long list of ways we can be more present in our bodies. We can move our bodies with dance, walking, running, stretching, gardening. The movement doesn’t have to be worthy of an Olympic medal to benefit us – we just need to move our bodies and pay attention while we move them. Meditation, taking a bath, tuning in to the feelings and rhythms of our bodies all help to gauge: When do I feel tired? What food gives me more energy? How can I break up my tasks so that I’m not repeating the one activity for too long? And of course, my personal favourite for improved body awareness – choosing to have a regular massage. Stress management doesn’t need to be overwhelming, time consuming or expensive. There are many simple, cost-effective and beneficial ways that we can create change and decide to put our needs first. If we prioritise sleep, stay hydrated and give our bodies more focused attention, we are well on our way to creating habits of self-love. These new habits will allow us to live with vitality, wellness and the energy to achieve, at the very least, our to-do list, if not.